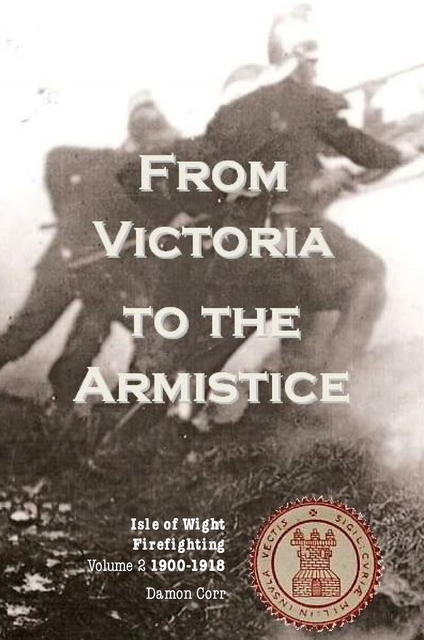 This second volume of the history of Isle of Wight firefighting follows the characters from Ready When Wanted in to a new century, through the Second Boer War, times of peace and great technological change in firefighting until the crippling effect of the First World War; both at home and abroad. I'm Damon, a fire officer on the Isle of Wight UK since 1996. I've worked operationally in aviation and municipal fire and rescue and instructed firefighters in both those industries and the maritime/offshore industry. Within a few weeks of originally joining the fire service I became interested in the history of my station, the wider brigade and how things evolved. This has since evolved in to a hobby that takes up a great deal of my spare time and often bleeds through to things I attend in my career. When my family and I needed support from the Firefighters Charity they were they for us. By combining my research and turning it into books I've combined my interest with a method of raising funds for the Charity. Therefore all the fire service related books on my page under the banner of the Isle of Wight Fire Brigades Federation, are sold on the basis that any and all profits are forwarded by me direct to the Charity and I'm grateful to any of you who make a purchase. Thank you, DC.